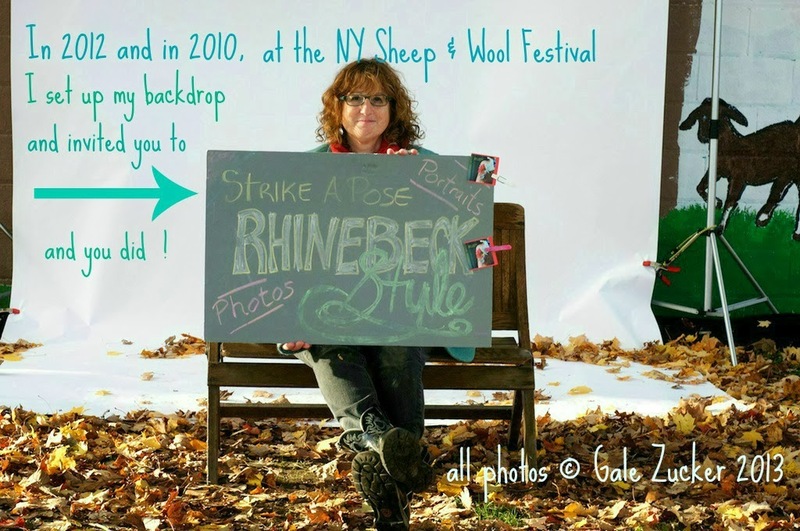 So, last year at this time, and in 2010, I went to Rhinebeck for the NY Sheep & Wool Festival, set up my big white backdrop, and invited everyone to pose in their handknit finery for what became my Rhinebeck Style photo project. It was a blast. And it evolved into a book. That isn't ready yet. I can't tell you how much I appreciate every single one of you who posed. Thank you. My favorite part of the festival is our special world on the fairgrounds, where you not only don't look loony even though you're wearing 4 layers of handknits...but you are greeted by strangers who know the pattern by name, applaud your stitches and can shout out your colorway and yarn dyer at twenty paces. Curious about the book? Get yourself onto the elist from Cooperative Press, they'll be my publishers, at the bottom of that linked page. I will miss seeing you this year but have been following your blog since we met at the innski last year. I can't wait to see your new book and love that you are doing it with cooperative press. I hope to see you at one of your classes soon. This is So Fun!!! I'd totally forgotten about this, but got an email this morning from a friend saying they saw me in it. You are genius at making folks let down their guard in front of your camera. I couldn't help smiling all the way through the video! I will be on the lookout for you! I was there in 2010 but was such a newbie that I didn't pose! So sorry I didn't, but I recognized so many people and so many patterns! Love it, can't wait for the book!! That is the best video EVAH! You're so marvelous at photographing anything, but the way you capture children and fiber animals is absolutely the best in the world! I can't wait for the book! Loved the video. 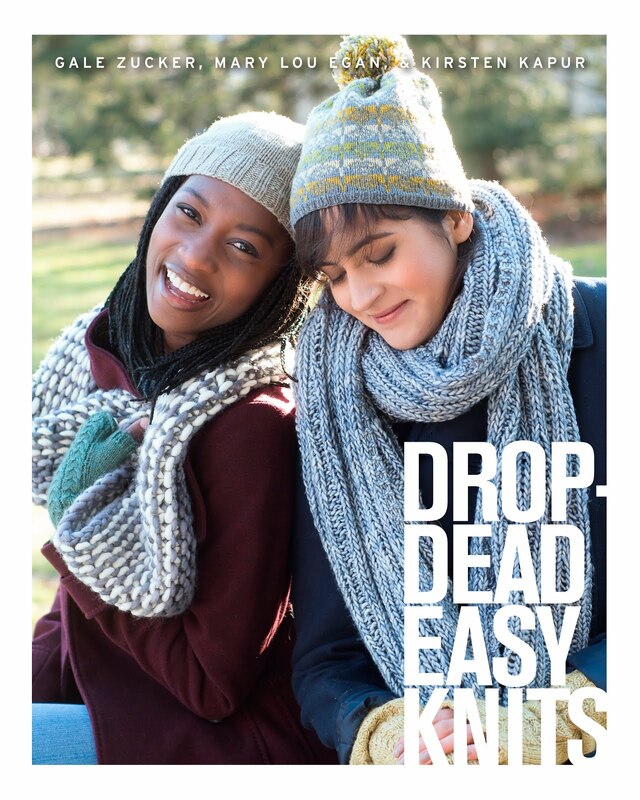 It made me realize that knitters are cool people. I felt like I would like everyone in your video. Glad I love yarn. Gale - I'm missing Rhinebeck this year, and more importantly I'm missing everyone back in the Have because I've since moved back to Canada... so I grabbed my coffee and sat to watch and reminisce... I just never expected to see my goofy mug show up!! If your video is any indication, the book will be fantastic. Thank you for this bit of sunshine - it's just what I needed today. Genius! 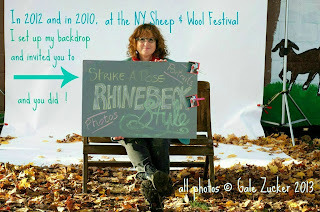 Next year I want to go to Rhinebeck! Thank you so much for putting this together! We all look so delightfully, deliriously happy! So awesome! Now I feel really bad about not finding you last year as my little one had a fab sweater. The pics of the kids are great! Will watch for the book! What a fun and creative video! Thanks for giving the fiber world another great thing! This video is fricking amazing Gale! WOW! I'm only a few minutes into it. I can't imagaine how long it took to build. You are a saint. Loved the video. It captures it. The color, the personality, the wool, the community - ahhh! No matter how many times I watch it, it makes me smile. And you always have the best music. Sorry the original strike a pose is no longer available. how fantastic is this?! i can't wait to see the book, so much fun.